Blavatsky, Volodymyr [Блавацький, Володимир; Blavac'kyj] (stage name of V. Trach), b 15 November 1900 in Kolomyia, d 8 January 1953 in Philadelphia. Prominent actor, director, and theatrical figure in Galicia and, after emigration, in Germany and the United States. He began his acting career in 1919 in the Ukrainska Besida Theater. 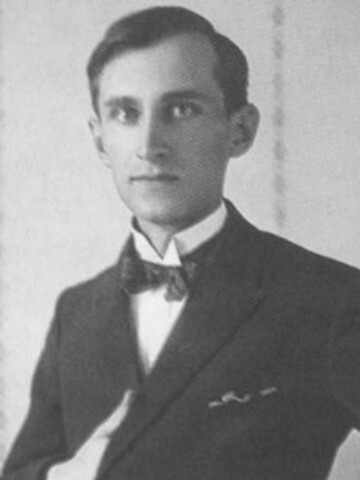 In 1921–4 he worked in Oleksander Zaharov's troupe in Lviv and then in the traveling troupes of Yosyp Stadnyk and V. Demchyshyn. He was art director for the Liudovyi Teatr theater in Lviv. 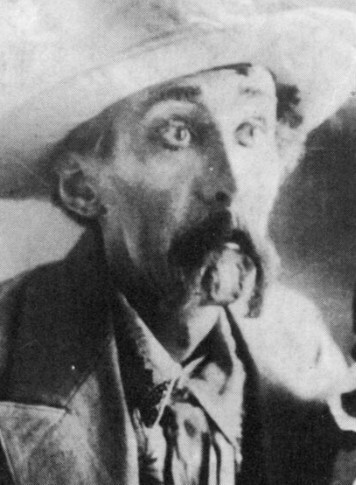 In 1927–8 he acted with the Berezil theater in Kharkiv and then returned to the traveling theaters in Galicia. In 1933–8 Blavatsky headed the experimental Zahrava Theater and then the Kotliarevsky Theater, which in October 1939 became the Lesia Ukrainka Theater. He was a cofounder and then the art director (1941–4) of the Lviv Opera Theater. As an émigré he directed the Ensemble of Ukrainian Actors in Germany in 1945–9. In 1949 he settled in Philadelphia. His main roles were Hamlet in William Shakespeare's Hamlet (first Ukrainian performance in 1943), Christ in Hryhorii Luzhnytsky's Holhota (Golgotha), Judas in Lesia Ukrainka's Na poli krovy (On the Field of Blood), and Malakhii Stakanchyk in Mykola Kulish's Narodnyi Malakhii (The People's Malakhii). His most successful productions as a director were Zemlia (The Soil), based on the story by Vasyl Stefanyk; Baturyn, based on the novel by Bohdan Lepky; Narodnyi Malakhii; and Jean Anouilh's Antigone.